This is a special order run that we did for the State of Ohio. 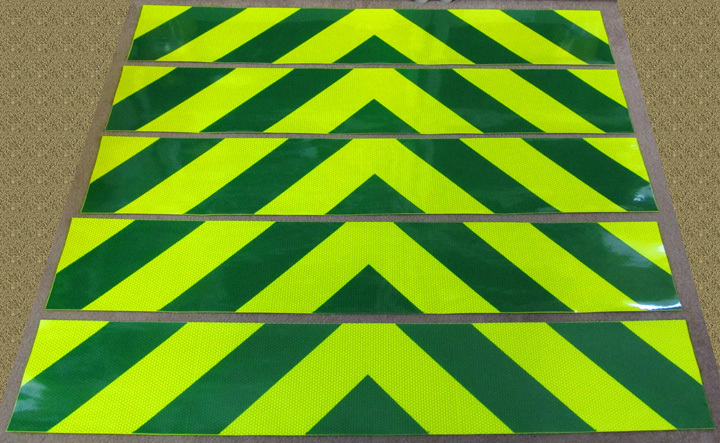 8 inch x 4 foot bi-directional chevron panels that are fluorescent lime and green. 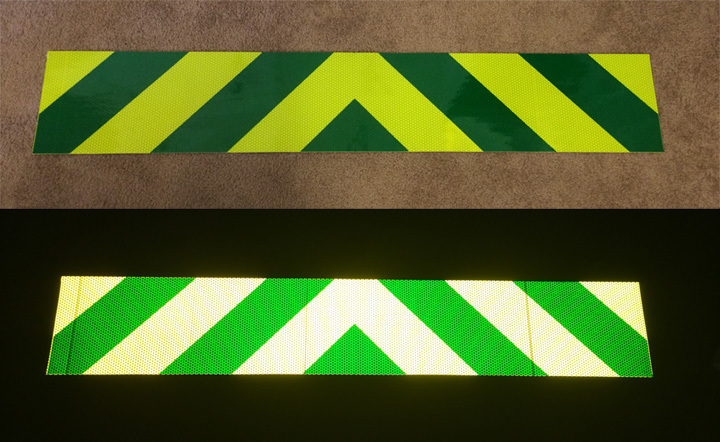 We used a Reflexite V98 conformable prismatic background and green overlay to create the stripes. Creates a nice vivid contrast. As you can see from the picture above, when the panel reflects the lime becomes more of a white but the green maintains a great contrast. Panels this size run between $70 and $85 each depending on quantity. For more information you can go to www.chevronpanels.com or call us at 850-934-3157 or email steve@reflectivestore.com.